Replace the British Empire's Geopolitics with the New Silk Road: Helga Zepp-LaRouche Webcast, Thursday, October 12, Noon EDT Last week, the Schiller Institute inaugurated a weekly webcast, to bring to the attention of citizens throughout the world the incredible new dynamic which has been unleashed around Chinas Belt-and-Road Initiative (BRI). The BRI is defining a New Paradigm for mankind, which means an end to geopolitics, with its endless wars, its bailouts and bail-ins of bankrupt financial institutions, and its demands for deadly austerity against the vast majority of people. This dynamic, which Mrs. LaRouche characterized as the Spirit of the Silk Road represents an opportunity for mankind to achieve a new era of peace, through development. In less than a month, President Trump will travel to Asia, with visits to China, Japan, South Korea, Vietnam, and the Philippines. His meeting with President Xi Jinping has the potential to be world historic, building on the positive rapport between the two from their initial meeting in April in Mar-e-Lago. The forces of the neocon transatlantic oligarchy are engaged in a desperate deployment to prevent this relationship from developing into full collaboration. That is what is behind the Get Trump operation and why it must not be allowed to succeed. For the US and European nations to join the New Silk Road is the only way to escape a new financial crash, which even outgoing German finance minister Wolfgang Schaeuble is warning about. 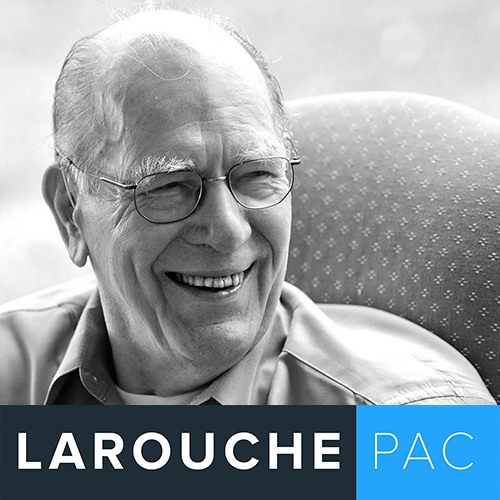 Join Helga Zepp LaRouche and the Schiller Institute this Thursday, for a full strategic update as this dynamic is unfolding.